"This is not a corporate listing of all AMSOIL Dealers & Retailers"
We are currently seeking independent AMSOIL Dealers, AMSOIL Retailers and Installers in Alberta. For more information on these opportunities please click here for free information. We are currently seeking independent AMSOIL Dealers, AMSOIL Retailers and Installers in British Columbia. For more information on these opportunities please click here for free information. We are currently seeking independent AMSOIL Dealers, AMSOIL Retailers and Installers in Manitoba. For more information on these opportunities please click here for free information. We are currently seeking independent AMSOIL Dealers, AMSOIL Retailers and Installers in New Brunswick. For more information on these opportunities please click here for free information. We are currently seeking independent AMSOIL Dealers, AMSOIL Retailers and Installers in Newfoundland. For more information on these opportunities please click here for free information. We are currently seeking independent AMSOIL Dealers, AMSOIL Retailers and Installers in Nova Scotia. For more information on these opportunities please click here for free information. We are currently seeking independent AMSOIL Dealers, AMSOIL Retailers and Installers in Ontario. For more information on these opportunities please click here for free information. J & B Trailers Inc.
We are currently seeking independent AMSOIL Dealers, AMSOIL Retailers and Installers in Prince Edward Island. For more information on these opportunities please click here for free information. We are currently seeking independent AMSOIL Dealers, AMSOIL Retailers and Installers in Quebec. For more information on these opportunities please click here for free information. 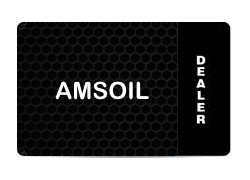 We are currently seeking independent AMSOIL Dealers, AMSOIL Retailers and Installers in Saskatchewan. For more information on these opportunities please click here for free information. We are currently seeking independent AMSOIL Dealers, AMSOIL Retailers and Installers in Northwest Territories. For more information on these opportunities please click here for free information. We are currently seeking independent AMSOIL Dealers, AMSOIL Retailers and Installers in Nunavut. For more information on these opportunities please click here for free information. We are currently seeking independent AMSOIL Dealers, AMSOIL Retailers and Installers in the Yukon. For more information on these opportunities please click here for free information. We are currently seeking independent AMSOIL Dealers, AMSOIL Retailers and Installers in the United States. For more information on these opportunities please click here for free information. AMSOIL makes top-quality synthetic lubricants for your car, truck, motorcycle, boat, four-wheeler, snowmobile, lawnmower and anything else with an engine. AMSOIL lubricants are designed to help your equipment run at peak efficiency and last longer. Join the millions of proud AMSOIL users to experience the difference.